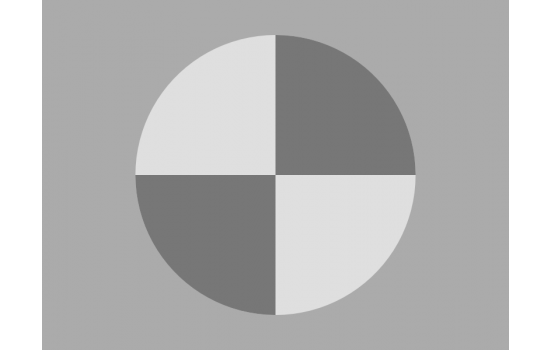 The SFRreg test target consists of a slanted-edge quadrant pattern enclosed within a circle. It is used for measuring MTF and lateral chromatic aberration. A test image typically contains several targets that are automatically detected and analyzed by Imatest beginning with Version 4.2. Distortion Note: High amounts of distortion where the target may be compressed so that the major axis is 50% larger than the minor axis may have issues with autodetection. Pre-distortion may be necessary for these cases. Watch this video and see the SFRreg module in action. Available substrates: High Precision Film, Reflective Inkjet and Transmissive Inkjet. 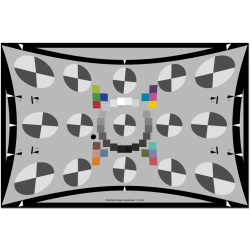 Inkjet charts are available in either 10:1 or 4:1 contrast ratios. 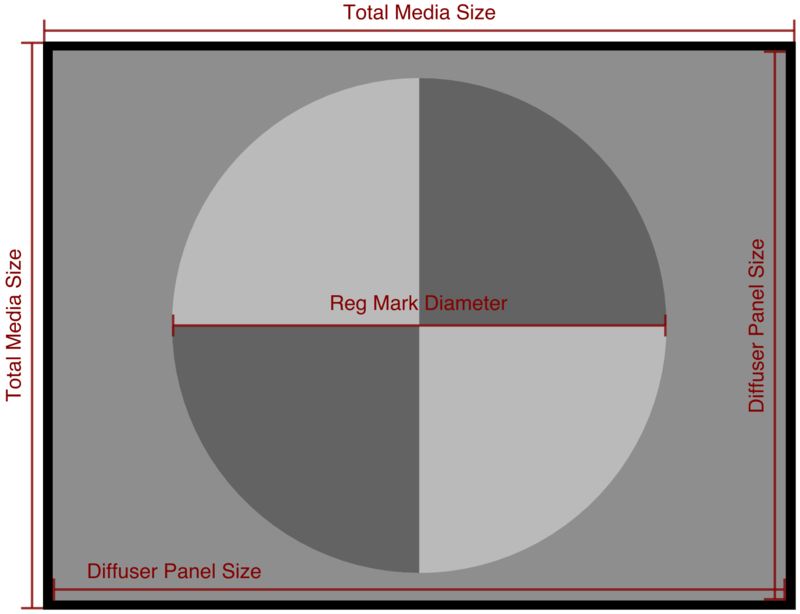 We offer film and transmissive inkjet targets in sizes specific to the Imatest LED Light Panel. 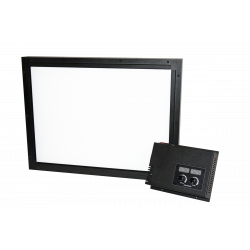 The targets listed below are sized specifically for five sizes of the Imatest LED Light Panel. All are printed on display transmissive substrate. Produced at a size of 196.85 mm x 234.95 mm (7.75" x 9.25") on 8x10" film. Quantity discounts apply. 20% discount on orders of 5-8 targets. 40% discount on orders of 9+ targets. Discount will show in shopping cart. Please contact charts@imatest.com for additional customization options.